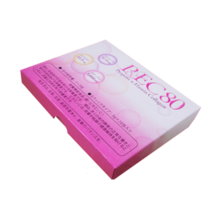 [en] Propolis & elastin collagen 80 Refreshing pineapple taste [How to eat] Please take 1 to 3 capsules per day as a guide, dissolve in your favorite drink and yoghurt. ※ Some propolis and other ingredients that are difficult to dissolve in water, please enjoy as it is. ※ If you put the powder directly in the mouth, please be careful because there is a case to be musled. ● Name: processed food containing collagen ● Ingredients: Collagen peptide (derived from gelatin), reduced maltose, powdery pineapple juice, lemon juice powder, elastin powder (from pigs), propolis powder, acerola powder, turmeric extract · additive: vitamin C, citric acid, glycerin, Flavor, sweetener (aspartame · L-phenylalanine compound), copper gluconate ● Contents: 90 g (3 g × 10 packages × 3 boxes) ● Preservation method: Please save it avoiding direct sunlight and heat and humidity. ************************************************** **** Nutritional components (1 package 3g - 3 capsules per 9g) Energy: 11.5 - 34.6 kcal Protein: 1.8 to 5.4 g Lipid: 0.02 - 0.07 g Carbohydrate: 1.0 to 3.1 g Sodium: 4.7 to 14.0 mg (salt equivalent: 0.01 to 0.04 g) Copper: 1.2 ~ 3.6 mg Vitamin C: 163 to 488 mg Percentage of intake standard per day as a percentage of nutrient display standard value Copper: 200 to 600% Vitamin C: 203 to 610% Contents Ingredients (per 3 g of package) Collagen: 1,666 mg Elastin: 33 mg Propolis: 12 mg 【please note】 ● Please check the raw material name, please do not take it if you are allergic to food. Also, depending on your constitution and physical condition, it may not fit your body on rare occasions. In that case please stop using it and consult your doctor or expert. ● Do not use if you are pregnant or lactating. ● If you are taking medicine, those who are in the hospital, please consult with your doctor, please enjoy. ● Depending on the storage condition, color tone may change, but there is no problem with quality. ************************************************** **** ● Estimated daily dose: 1 to 3 capsules Nutrition functional food (copper · vitamin C) Copper is a nutrient that helps the formation of erythrocytes. Copper is a nutrient that helps the normal functioning and bone formation of many body enzymes. Vitamin C is a nutrient with antioxidant properties as well as helping to maintain health of skin and mucosa. Eating habits, based on staple food, main dish, side dishes, balance of meals. ************************************************** **** [Side of Clear] In addition to 12 mg of Brazilian green propolis in 1 capsule, you can eat 1,666 mg of low molecular collagen, 33 mg of elastin, 163 mg of vitamin C at the same time. This product does not cure the disease due to intake a lot or to promote health more. Please observe the recommended daily intake. Infants and children should avoid taking this product. Unlike foods for specified health use, this product is not subject to individual screening by the Commissioner of the Consumer Agency. [en] Propolis & elastin collagen 80 Refreshing pineapple taste [How to eat] Please take 1 to 3 capsules per day as a guide, dissolve in your favorite drink and yoghurt. ※ Some propolis and other ingredients that are difficult to dissolve in water, please enjoy as it is. 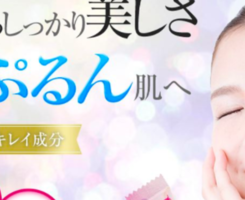 ※ If you put the powder directly in the mouth, please be careful because there is a case to be musled. ● Name: processed food containing collagen ● Ingredients: Collagen peptide (derived from gelatin), reduced maltose, powdery pineapple juice, lemon juice powder, elastin powder (from pigs), propolis powder, acerola powder, turmeric extract · additive: vitamin C, citric acid, glycerin, Flavor, sweetener (aspartame · L-phenylalanine compound), copper gluconate ● Contents: 30 g (3 g × 10 packages) ● Preservation method: Please save it avoiding direct sunlight and heat and humidity. ************************************************** **** Nutritional components (1 package 3g - 3 capsules per 9g) Energy: 11.5 - 34.6 kcal Protein: 1.8 to 5.4 g Lipid: 0.02 - 0.07 g Carbohydrate: 1.0 to 3.1 g Sodium: 4.7 to 14.0 mg (salt equivalent: 0.01 to 0.04 g) Copper: 1.2 ~ 3.6 mg Vitamin C: 163 to 488 mg Percentage of intake standard per day as a percentage of nutrient display standard value Copper: 200 to 600% Vitamin C: 203 to 610% Contents Ingredients (per 3 g of package) Collagen: 1,666 mg Elastin: 33 mg Propolis: 12 mg 【please note】 ● Please check the raw material name, please do not take it if you are allergic to food. Also, depending on your constitution and physical condition, it may not fit your body on rare occasions. In that case please stop using it and consult your doctor or expert. ● Do not use if you are pregnant or lactating. ● If you are taking medicine, those who are in the hospital, please consult with your doctor, please enjoy. ● Depending on the storage condition, color tone may change, but there is no problem with quality. ************************************************** **** ● Estimated daily dose: 1 to 3 capsules Nutrition functional food (copper · vitamin C) Copper is a nutrient that helps the formation of erythrocytes. Copper is a nutrient that helps the normal functioning and bone formation of many body enzymes. Vitamin C is a nutrient with antioxidant properties as well as helping to maintain health of skin and mucosa. Eating habits, based on staple food, main dish, side dishes, balance of meals. ************************************************** **** [Side of Clear] In addition to 12 mg of Brazilian green propolis in 1 capsule, you can eat 1,666 mg of low molecular collagen, 33 mg of elastin, 163 mg of vitamin C at the same time. This product does not cure the disease due to intake a lot or to promote health more. Please observe the recommended daily intake. Infants and children should avoid taking this product. Unlike foods for specified health use, this product is not subject to individual screening by the Commissioner of the Consumer Agency. [en] We carefully extracted Brazilian high quality green propolis with ethanol. Please try the grace of nature carried by African kneaded bee peculiar to Brazil. 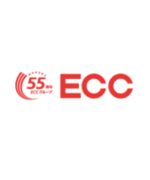 <Manufacturer> Hauser Food Co., Ltd. <Estimated amount of drink> Mix with water, juice etc. as a guide as 1 ml on 1 day as a guide, please drink. 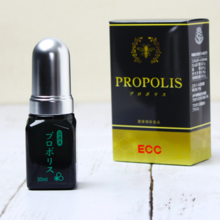 <Ingredients name> Propolis ethanol extract from Brazil, lecithin (derived from soybeans) <ingredient amount> Contains 180 mg of propolis in 1 ml of extract solution Note If rare itching, rash etc. appears in allergic constitution etc there is. In that case stop drinking and consult your doctor. There are individual differences in effect. Because it may not fit your constitution / physical condition, in that case, please do not use. [en] We made high-quality green propolis from Brazil as a soft capsule easy to drink. In addition, we used DHA, EPA famous as healthy ingredients as the oil necessary for encapsulation. I want to drink propolis, but I am also good at those who are not good at taste and smell. <Manufacturer> Hauser Food Co., Ltd. <Estimated amount of drink> Please enjoy with water etc. with 3 tablets as a guide as a guide. 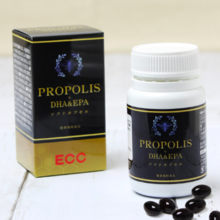 <Ingredients name> DHA · EPA containing purified fish oil, propolis extract powder / gelatin, glycerin, glycerin fatty acid ester, caramel color <ingredient quantity> 3 particles 1,395 mg (content amount 900 mg) contains 180 mg propolis containing DHA 140 mg, EPA 32 mg Rarely, itching, rash, etc. may appear in the allergic constitution and others. In that case stop drinking and consult your doctor. There are individual differences in effect. Because it may not fit your constitution / physical condition, in that case, please do not use. Please take 1 to 3 capsules per day as a guide, dissolve in your favorite drink and yoghurt. ※ Some propolis and other ingredients that are difficult to dissolve in water, please enjoy as it is. ※ If you put the powder directly in the mouth, please be careful because there is a case to be musled. 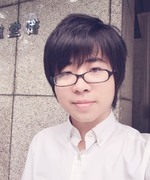 ● Preservation method: Please save it avoiding direct sunlight and heat and humidity. ● Please check the raw material name, please do not take it if you are allergic to food. Also, depending on your constitution and physical condition, it may not fit your body on rare occasions. In that case please stop using it and consult your doctor or expert. ● Do not use if you are pregnant or lactating. ● If you are taking medicine, those who are in the hospital, please consult with your doctor, please enjoy. ● Depending on the storage condition, color tone may change, but there is no problem with quality. Copper is a nutrient that helps the formation of erythrocytes. Copper is a nutrient that helps the normal functioning and bone formation of many body enzymes. Vitamin C is a nutrient with antioxidant properties as well as helping to maintain health of skin and mucosa. Eating habits, based on staple food, main dish, side dishes, balance of meals. In addition to 12 mg of Brazilian green propolis in 1 capsule, you can eat 1,666 mg of low molecular collagen, 33 mg of elastin, 163 mg of vitamin C at the same time. This product does not cure the disease due to intake a lot or to promote health more. Please observe the recommended daily intake. Infants and children should avoid taking this product. Unlike foods for specified health use, this product is not subject to individual screening by the Commissioner of the Consumer Agency.